These shoes, sometimes known as ‘trail’ or ‘fell’ running shoes, are designed to be mainly used on mountainous and hilly terrain, and generally any rough ground with rocks, moisture, and slick or uneven surfaces - as such, these shoes are generally unsuitable for surfaced ground and roads. Off-road shoes tend to have reinforced stitching for more durability, toe bumpers and increased traction of the outsole and tread. 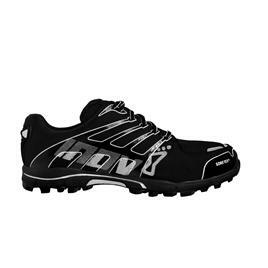 The Inov-8 Roclite is relatively lightweight compared to some fell running shoes, but still offers plenty of traction on a range of surfaces – particularly slippery, rocky terrain. It is also versatile and light enough to be suitable over short distance running as well as longer races, so it is a perfect choice for fell runners who want a good all-round shoe. 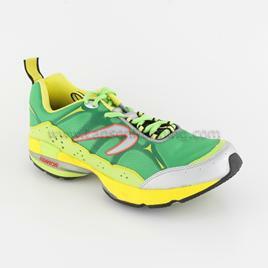 This shoe is designed to be suitable for all terrain, and contains a closed mesh on the upper shoe to keep out debris. It also features medial and lateral webbing to allow for a very stable upper. With very high durability in all areas of the shoe and technology to encourage stability while running, the Newton Momentum is a very good long-term choice for all off-road runners.